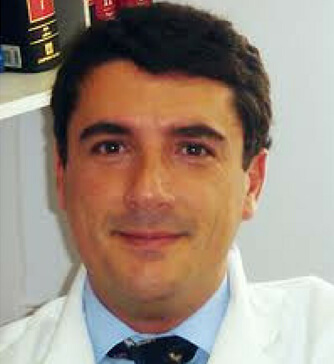 Mr. Domenico Valenti DMChir,PhD,FRCS,FRCS(Ed),FEBVS, Consultant Vascular Surgeon and Hon Senior Lecturer King’s College London, studied Medicine in Italy and qualified in 1991. Mr. Valenti completed his surgical training in Italy, and in the UK. (St Mary’s Hospital London and the Royal Infirmary of Edinburgh). In 1999 he was appointed Junior Consultant Vascular Surgeon at Mauriziano Hospital in Turin Italy. In March 2003 he was appointed as Senior Clinical Vascular Fellow/acting Consultant at the Vascular Unit of the Royal Infirmary Edinburgh. He was appointed Consultant Vascular Surgeon and Honorary Senior Lecturer at King’s College Hospital in 2007. He has extensive experience in all types of vascular surgery , specialising in carotid surgery, aortic aneurysm repair (open and endovascular),lower limb reconstructive surgery, varicose vein surgery (open and radio frequency ablation VNUS) and vascular access for haemodialysis. He was appointed Honorary Consultant Vascular Surgeon at the National Orthopedic Hospital in Stanmore in 2014. He is a Fellow of the Royal College of Surgeon of England and Edinburgh and of the European Board of Vascular Surgery. He is a Member of the Court of examiner of the Royal College of Surgeons of England. He is the Past President of the Vascular Access Society of Britain and Ireland and he is a member of many vascular surgical societies in the UK and Europe. He is an invited speaker at the main European and American Vascular Congresses. He is a referee for several peer reviewed surgical journals. He was appointed Course Director of the Vascular Access at Charing Cross International Vascular and Endovascular Symposium in 2015. He is the medical advisor for surgery in the All Party Parliamentary Kidney Group.